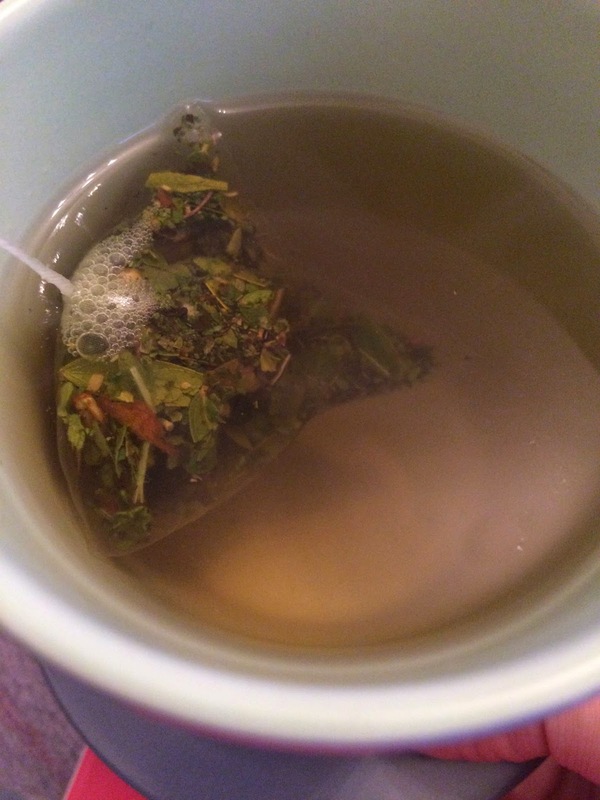 I am going to talk about the Bootea 14 day 'teatox' in today's post. It's had a lot of attention on social media and I've done the detox three times now so I think I'm in a good place to give an honest review. 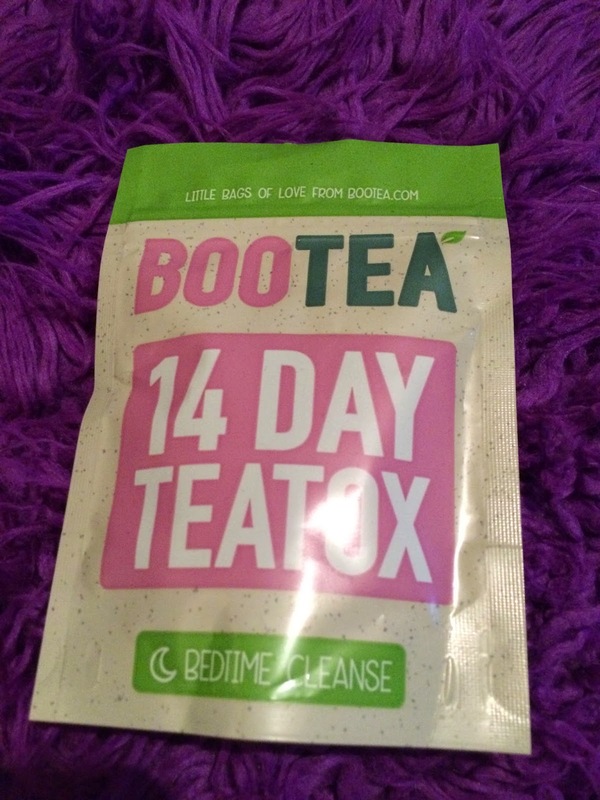 Bootea contains 14 Daytime Tea bags and 7 Bedtime Cleanse bags. The instructions tell you to take the Daytime Tea bag everyday and the Bedtime Cleanse bag every other day. The Bedtime Cleanse bag works to cleanse the body. Drink before bed as it takes about 8 hours to work. I think cleansing the colon is important as nutrients are more easily absorbed when your digestive system is clean. Daytime Tea Ingredients: Chinese Oolong Tea, Mate Leaves, Ginger Root, Fennel Seeds, Lemongrass, Dandelion Leaf, Ginseng Root, Gotu Kola Leaves, Nettle Leaves. Bedtime Cleanse Ingredients: Senna Leaves, Peppermint Leaves, Fenugreek Seeds, Liquorice Root, Burdock Root, Hawthorn Leaves, Valerian Root, Psyllium Seeds. The Bedtime Cleanse tea may aid sleep as well as cleansing your body due to the addition of Valerian Root, which has traditionally been used as a a sleep aid. Also, the anti-spasmodic effects of Peppermint could help with any hunger cramps if you're using this tea for weight loss. There's lots of dramatic before and after photos online and I was a little sceptical and perhaps rightly so. I wasn't doing the detox for weight loss, just for general health, and I did feel good during the 14 days but the effects did not last. I had more energy and I did go to the toilet often which is great. I felt like drinking Bootea was a great start to my day. Also, I was slightly less bloated which I attribute to going to the toilet regularly. However, I am never usually constipated so this did not make a huge difference. If you do suffer with constipation then this will definitely sort you out. I like herbal tea so the taste is not a problem for me but some people choose to add honey or lemon to make it more bearable for them. I love Bootea for if I have a period in my life where I have to be 100% alert and feel great all the time. Due to it being fairly pricey it is not a tea which I use regularly. DRINKS: Water, Starbucks Skinny Coffee Frappucino (Tall), Diet Coke. As you can see my diet fluctuates quite a bit from day to day depending on how much time I give myself to sort my meals out and how hungry I am. I eat exactly what I want so I wasn't expecting a dramatic result. Just would have been nice for the results to last a little longer than the 14 days. I actually bought the Bedtime Cleanse bags separately after my last detox so I always have some in if I need them. I was fairly reluctant to pay £10.99 for 7 teabags though..As for the Daytime Tea, I feel that there are more cost-effective alternatives out there which give the same energy boost. £££: 14 Day Detox, £19.99. 28 Day Detox, £37.99. Bedtime Cleanse 14 Day Supply, £10.99. Daytime Tea 14 Day Supply, £10.99. It is available from Holland and Barrett and the Bootea website.